Colorado Springs is the place to be this summer! Whether you are visiting or live here, there is something for everyone! 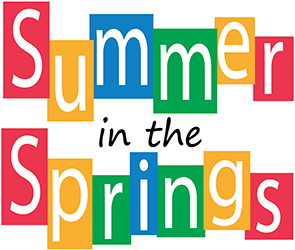 Tag us on social media and use #SummerInTheSprings to share your summer adventures with us! This summer is packed with fun things to do! There's something for everyone! Here in Olympic City USA we love the outdoors! Play a round of golf, cool off at the spray park or picnic at one of our many parks! Learn about the history of the Pikes Peak Regions at Rock Ledge Ranch or the Pioneers Museum, hike through Garden of the Gods or stand on top of the World at the summit of Pikes Peak!